Something dreadful happened to me last night that gave me a bit of perspective as we prepare for the coming Obama administration. A young deer darted out in front of my car. I was only going 25 MPH, but slamming on the brakes and swerving sharply didn’t stop the spooked deer from getting clipped by the edge of my headlight. The poor animal rolled up the hood and onto the windshield as I came to a stop. Amazingly, the fawn slid to the ground and landed squarely on his legs. America will do the same. I expect the country to take a beating during the next four years. The economy is unstable, terrorism remains a threat, and the size of our federal government is unacceptable. These things would be true no matter who emerged victorious last night. But Barack Obama, our most liberal senator, is now our president-elect. He will be backed by Democratic majorities in the House and Senate comprised of some of the most liberal legislators in history, and together they will ignore the lessons of history and respond to crises with big government solutions. During the next two years, government will plump grotesquely like the collagen-injected lips of aging celebrities. From a right-of-center perspective, the country’s energy, fiscal, and foreign policies will sustain notable damage, and we will witness the implementation of social programs that undermine the progress of minorities and limit the upward mobility of the poor. That said, a dire future is not inevitable. 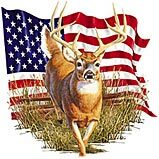 Like the deer that hurtled into my car, our country will survive its collision with a liberal agenda. It may end up temporarily worse for the wear – my car certainly did – but America has weathered greater threats than being governed from the left for a few years. America and Americans have an undeniable history of greatness and a solid record of using our freedoms to oppose government when necessary. Now we gird our loins, cowboy up, and forge ahead.